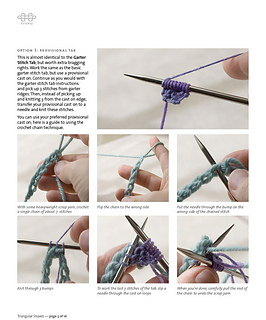 Some of the nicest stitch patterns are the simplest ones. 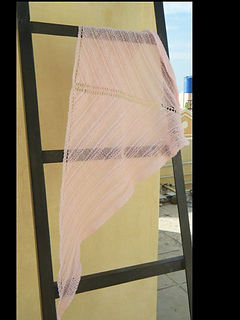 Here, horizontal bands of garter stitch emphasize the geometry of a simple triangular shawl shawl. 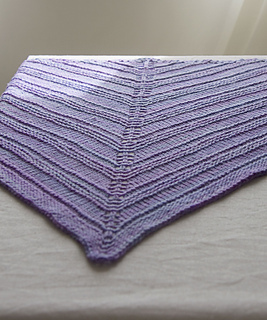 My free pattern, the Oaklet Shawl, pattern has been so popular that it inspired me to make a guide to making top-down triangular shawls. 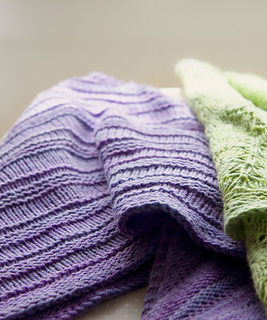 They have become one of my favourite types of knitting projects; I mean, who doesn’t love a knitting pattern that starts with “cast on 3 stitches”? Due to the popularity of Oaklet and the enthusiastic questions I’ve received about how to knit top-down triangular shawls, I made a 16 page booklet that walks you through all of the ins and outs of triangular shawls. 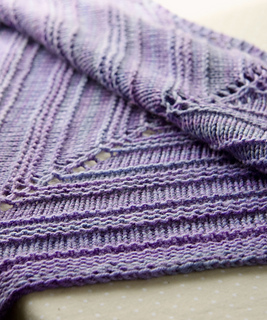 The Garter Stitch Ridge shawl pattern in the booklet is a simpler cousin of the original Oaklet with no lace, so is very suitable for beginner knitters.